This post may contain affiliate links. See my disclosure policy for more details. 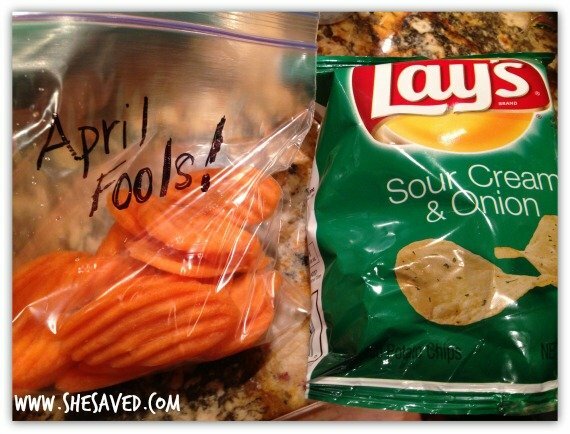 My son is an April Fools’ Day baby… so we take the pranks pretty seriously around here. 1) Move the stuffed animals. While the kids were sleeping, we moved all (and I mean ALL) of the stuffed animals out into the hall. This is NOT an easy task, but they got a really big kick out of it in the morning. We arranged them in funny positions and some of the stuffies were even hanging upside down from doorknobs and such. An oldie but a goodie. We drew jewelry on my daughter. A bracelet, a ring and even earrings. My son got the token mustache. That one NEVER gets old. 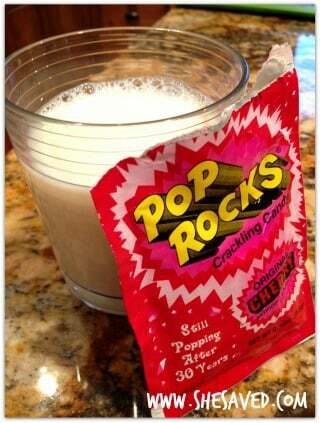 3) Pop Rocks in their morning milk. This one is awesome because the popping lasts a really long time. I made a tiny stack of pancakes using Vanilla Wafers and a tiny Starburst square for the butter. I then melted 2 Candy Melt chips in the micro-wave and placed a yellow Skittle smack dab in the middle. Worms coming out of the breakfast muffin. Always a hit. Since my son’s birthday is on April Fools’ day, we always bring a spoofy snack to school to share with the class. This year, we have perfected our Hamburger Cookie Recipe – it’s made with Vanilla Wafers, chocolate covered Grasshopper cookies (or Peppermint Patties) and different colored frosting. You can see my recipe for that here. 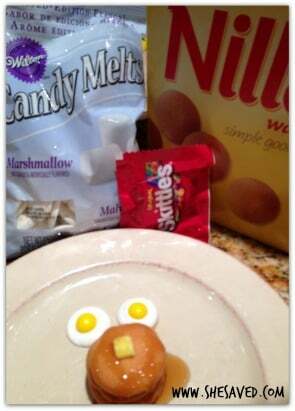 I love to send my kids to school with a silly April Fool’s Day lunch. The fake chips trick: Take a small bag of potato chip bags and carefully opened the bottom and replaced the REAL chips with carrot chips. Seal the bottom back up with clear tape. My kids rarely get potato chips so this one is a bit of a bummer once they discover it, but it’s April Fools’ Day so too bad, lol! Last but not least, you just gotta include a “gross” sandwich. One of my favorites: peanut butter and jelly sandwiches on hot dog buns with gummy worms sticking out, of course! 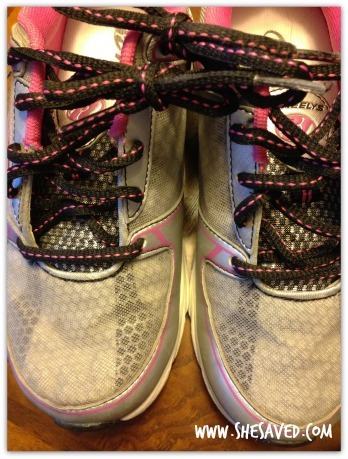 It wouldn’t be April Fools’ without the old “shoe laces tied together” trick. This one always ends up making us roll our eyes at our funny selves as it is hard enough to get out the door in the morning without your shoe laces tied together, but hey… it’s all in the name of good old fashioned fun! 9. Remove the cream of an Oreo and add toothpaste instead. Offer someone an even sweeter treat! They will get a nice minty surprise when they take a bite. 10. Change your clothes hourly and don’t say anything. See if anyone notices. 11. Hide plastic spiders in drawers, sheets, books, or other items commonly used by the person you wish to prank. You can even tuck one into the roll of toilet paper so it falls out when they are unraveling the paper. 12. Add food coloring to the carton of juice, milk, or other beverage so it comes out a crazy hue. Be sure you are doing this with a drink that comes in a container where you can’t see the liquid. 13. Coat the bar of soap in a clear varnish such as nail polish so it won’t suds up in the shower. 14. A rubber snake in the toilet always gets people jumping! Hide it directly in the bowl or you can tuck just the head of a plastic snake down near the drain of the toilet. them and not make them think twice, sprinkle some colored salt on top for sprinkles. Yum! 16. Place a happy face sticker over the sensor on the person’s computer mouse so it won’t work. 17. Go behind someone and pretend to sneeze. When you do, quickly spray them on the back of the neck with a water bottle. This will be sure to freak them out. 18. Make bowls of cereal and place them in the freezer the night before. Serve the kids frozen cereal in the morning! 19. 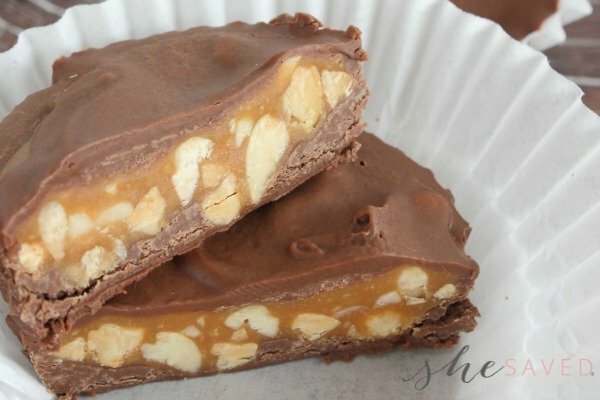 Add a melted candy bar or a smear of peanut butter to the inside of a diaper and place it in someone’s room/bed. Ewww! 20. Remove the batteries from the television remote. Totally annoying if you are the one wanting to watch t.v. but hilarious if you get to watch someone freak out because the t.v. won’t turn on. Looking for EVEN more practical joke ideas? 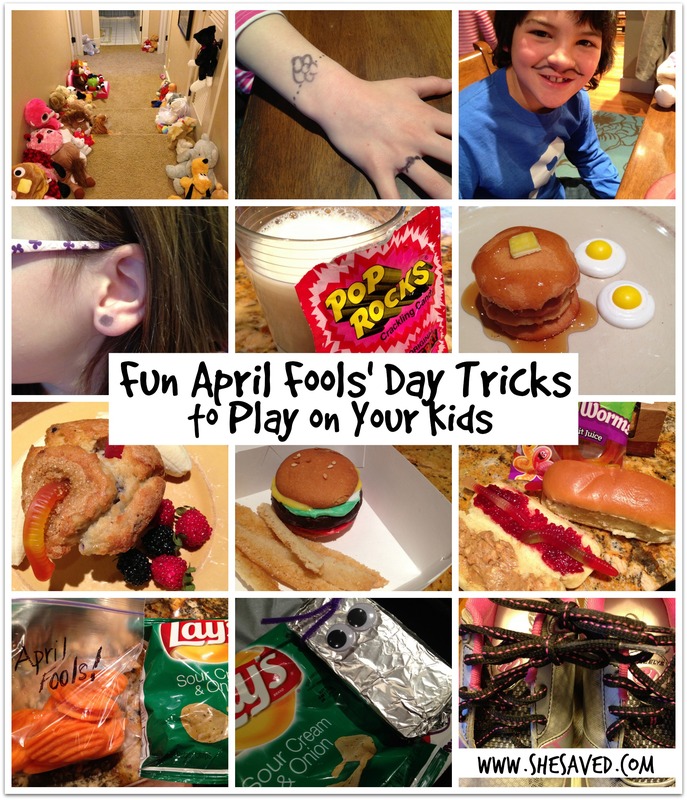 Make sure to check out more of my April Fools’ Day Prank Ideas here and even more April Fools’ Day Prank ideas here. AND in the event that you still need more prankster inspiration, Amazon shared a entire store full of April Fools’ Day tricks this year and I might be guilty of ordering a few of these myself! Keep up with all of the daily SheSaved excitement by subscribing to my daily email newsletter or RSS Feed and I will deliver it right to your inbox so that you won’t miss a thing! FOLLOW ME! To see live updates of my favorite moments, brands and adventures, make sure to follow me on Instagram! i also have an April Fools baby. I made the hamburger cookies for many, many years for school treats. Always a fun treat. 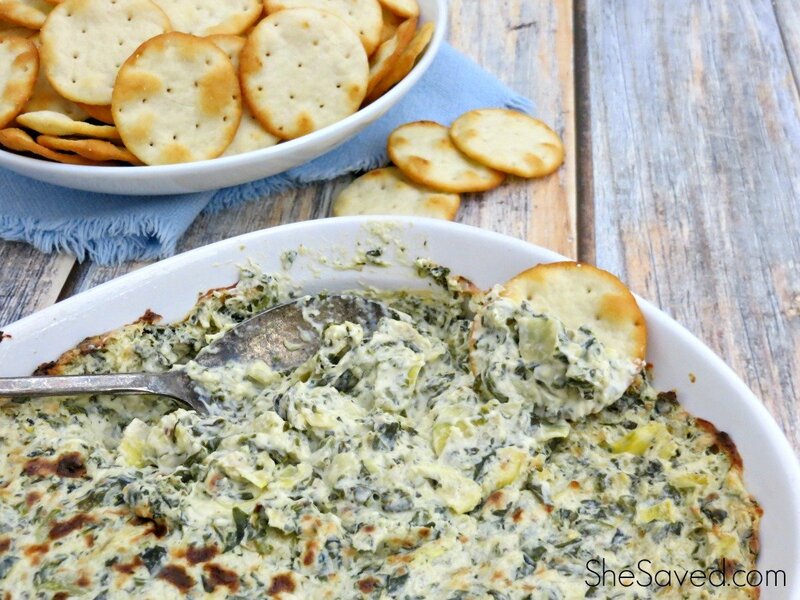 What a fun tradition to enjoy with your kids! I'm sure the antics over the years have built up some great memories! Thanks for sharing at Merry Monday! These ideas looks fun !! Thank you for linking up with us at #HomeMattersParty . We would love to have you again next week.